The University College in Jamoum receive the team of the health cities committee accompanied with a number of the province officials on Monday Jumada Al-Thani 24, 1439 H as part of the visits programs scheduled for Jamoum Province's facilities and equipment. 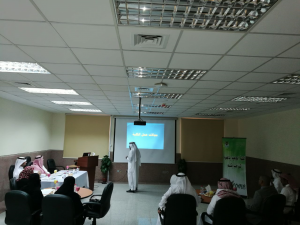 The college was honored to receive the delegation and briefed its members on the different programs of the college which contribute to promoting the health environment of the province whereas the province is seeking to obtain the classification of the Health Cities as the first city at the level of the Kingdom in this regard. 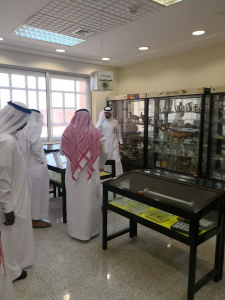 The delegation also visited the museum of the department of Biology, whereas Dr. Abdul-Majeed Al-Rifaie briefed them on the contents of the museum. 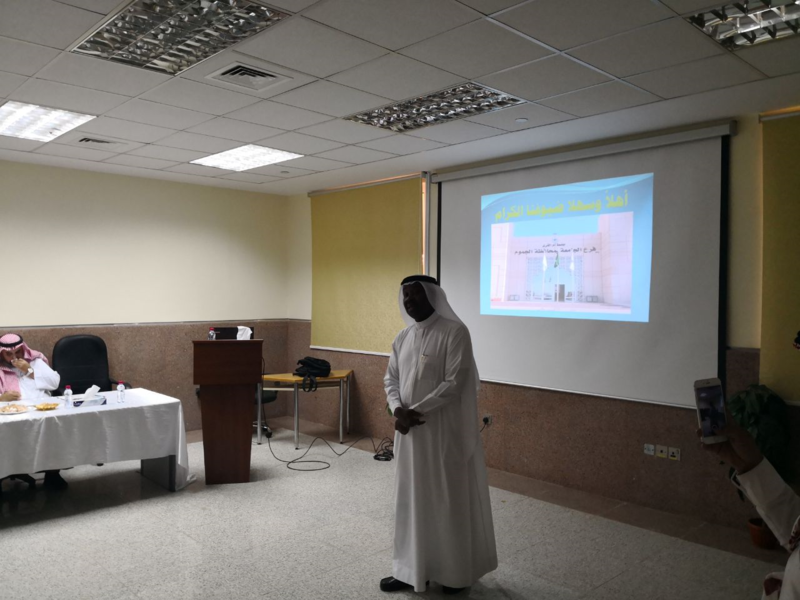 After that, the delegation toured the deferent departments of the college and listened to an elaborate presentation about the college by Dr. Abdul-Malik Al-Saktawi. At the conclusion of the visit , the delegation expressed thanks to the college for the good reception and hospitality.